There is nothing quite like fresh flowers to let you know that spring has finally arrived. What better way to celebrate the end of winter than with a Cake Pop Flower Bouquet?! Whilst you are waiting for the dough to firm up, begin making the flowers. Roll the modelling paste with your fingers until it is soft and malleable. Break off a piece and roll into a sausage shape. Flatten with a small icing rolling pin (dust with icing sugar so that it doesn’t stick). Start at one end and begin rolling it up, raising the edge of the ‘petals’ as you work your way around the centre of the flower. Occasionally, twist the strip of icing as you continue rolling it around the centre, tucking the end away at the back of the flower head. 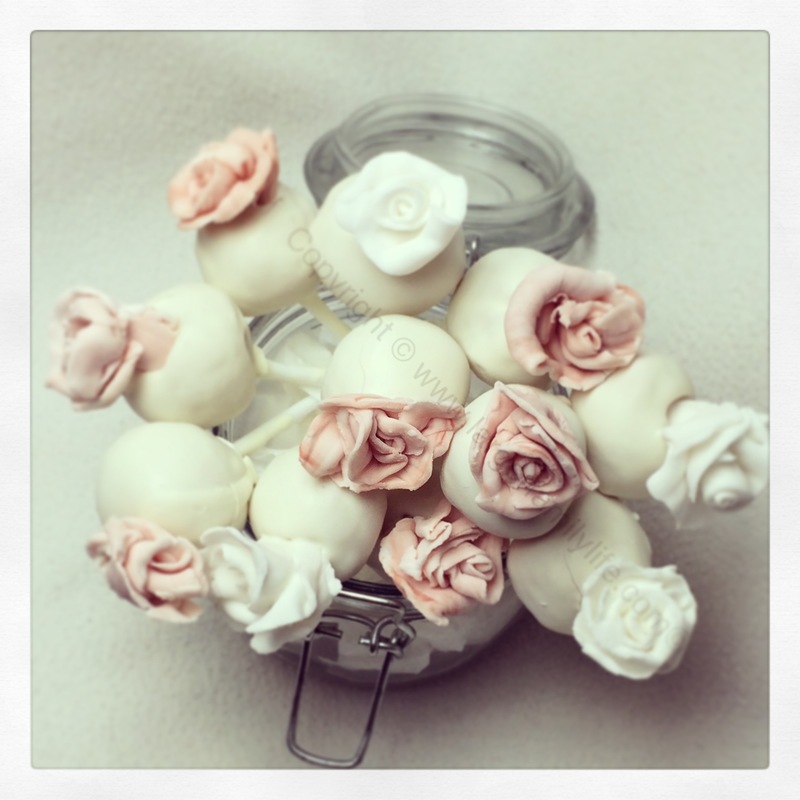 Twist the base gently, forming a small anchor with which you will attach the flower to the cake pop. All the flowers to dry, firming up as they do so. Once the ball has securely set onto the stick, stick the dough ball into your melted candy mixture, ensuring it is evenly coated all the way around. Gently tap any excess off and before it dries, push in one of the model flowers. Stand up the cake pop to dry, then chill for at least half an hour before eating.